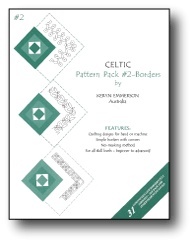 31 border designs with corners included. Actual sizes range from 1" to 7". 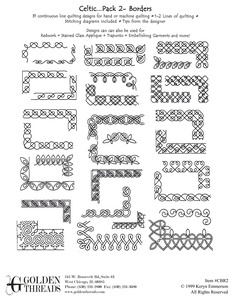 These continuous line quilting designs are perfect for creating stained glass appliqué and black bias tape projects. 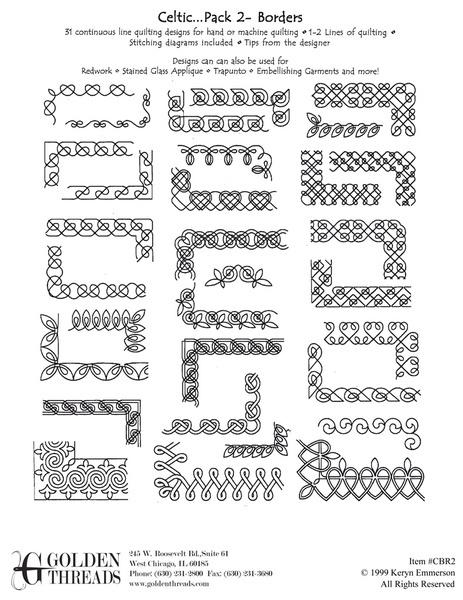 Packet includes stitching diagrams and helpful hints from the designer.